I have a web application that will be used internally that points to images on a network drive. It works when I test it in VS, but the images don't load once published. 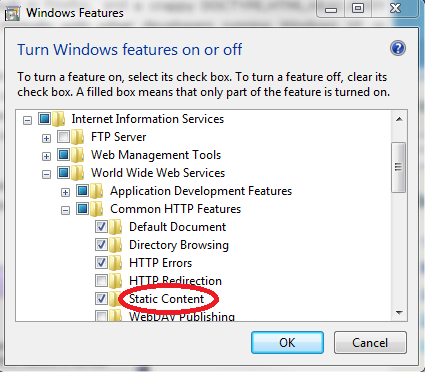 I'm sure it's a setting in IIS but I can't figure out what it is. Each computer is already logged into the domain, and those who have access should be allowed to view the image. I tried changing the authentication to impersonate, but no luck. Have you considered creating a mapped network drive on the local machine that IIS is on (i.e. \NetworkShare mapped to drive letter "X:") with appropriate permissions and then create a virtual directory under your web mapped to the new mapped drive (X:). Also, see the second answer to this related question. Not the answer you're looking for? Browse other questions tagged asp.net iis7 iis or ask your own question. How can IIS 7.5 have the error pages for a site reset to the default configuration?